Born on July 20th 1886, Raymond Edward Priestley grew up and went to school in Tewkesbury, before going on to become an explorer, scientist, soldier and educator. At the age of 20, whilst studying geology at Bristol University, chance gave him the opportunity to join Ernest Shackleton’s 1908 expedition to Antarctica as a geologist. 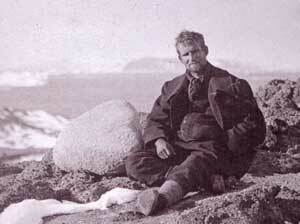 This experience allowed him to be offered a place on Scott’s 1910, Terra Nova Expedition. Priestley served in the Great War in the Signals Division of the Royal Engineers. Priestley attained the rank of Major and was awarded the Military Cross. After the war he wrote, “Breaking the Hindenburg Line: The Story of the 46th North Midland Division”, published 1919 and “The Signal Service in the European War of 1914-1918”, published 1921. With Frank Debenham, he helped found the Scott Polar Research Institute in Cambridge in 1920. Post-war he worked in university administration at Cambridge University, then took the post of first Vice Chancellor at Melbourne University, Australia. In 1938 he was appointed Vice Chancellor of Birmingham University, retiring in 1952. From 1941, he was Chairman of the Post-War Planning Survey: West Midlands Group. During 1943 – 45 he was a member of the West Indies Committee of the Commission on Higher Education in the Colonies. He was subsequently involved with setting up the University of the West Indies in Jamaica and Trinidad from 1946-51. He was knighted for Services to Education in 1949. He was Chairman of the Royal Commission on the Civil Service 1952-55. The Commission covered all aspects of the employment of civil servants. He was Acting Director of the former Falkland Islands Dependencies Survey (FIDS) (later called the British Antarctic Survey) from 1955-58. He essentially ran the organisation whilst the Director, Sir Vivian Fuchs was leading the Commonwealth Trans-Antarctic Expedition. Priestley completely rationalised the administrative organisation during his tenure. He accompanied the Duke of Edinburgh on the Britannia to visit Antarctica in 1956-57. On arrival they transferred to the ship RSS John Biscoe. Priestley accompanied the Duke of Edinburgh in his capacity as Acting Director of FIDS, landing and inspecting the stations at Detaille Island, Faraday, Anvers Island, Port Lockroy, Danco Island, Admiralty Bay and Deception Island. He returned to the Antarctic in 1958-59 as an observer of the U.S. Operation Deep Freeze IV. He sailed from New Zealand on USS Wyandot to McMurdo Sound before transferring to the icebreaker, USS Staten Island. He visited Hut Point, the Scott Hut at Cape Evans, Shackleton’s Hut at Cape Royds, Little America, Hallet Base and the Balleny Islands. Sir Raymond Priestley became President of the Royal Geographic Society 1961-63. 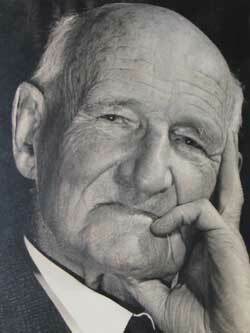 After retirement he retained his interest in all Antarctic exploration and always kept contact with Tewkesbury, living at nearby Bredons Norton until his death in 1974. Come and see our exhibition on the life of Sir Raymond Priestley in our Museum.